What do you get when you raid a mermaid's jewelry box? 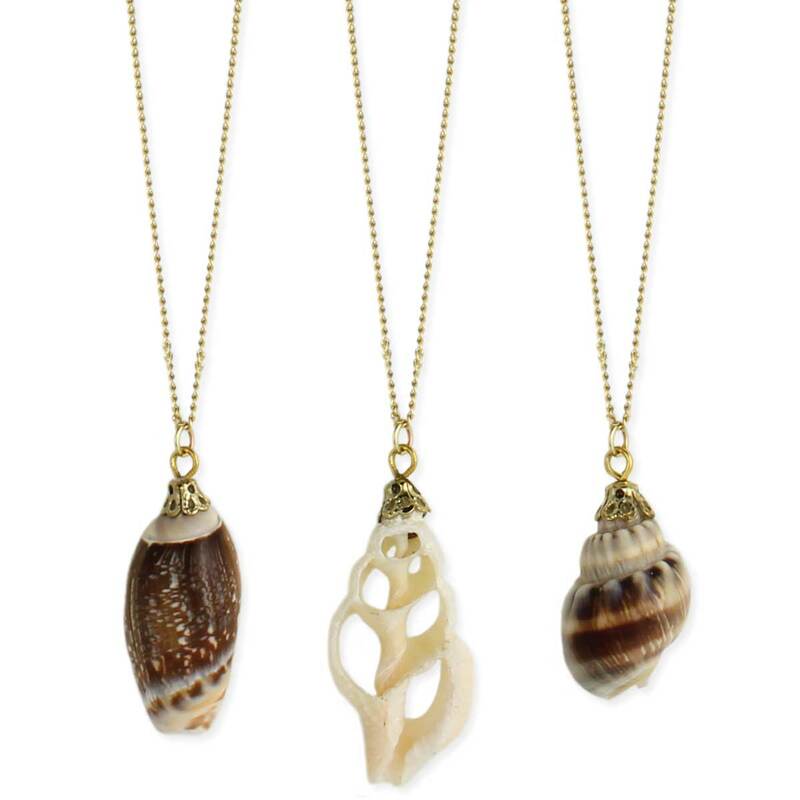 These fresh shell necklaces! 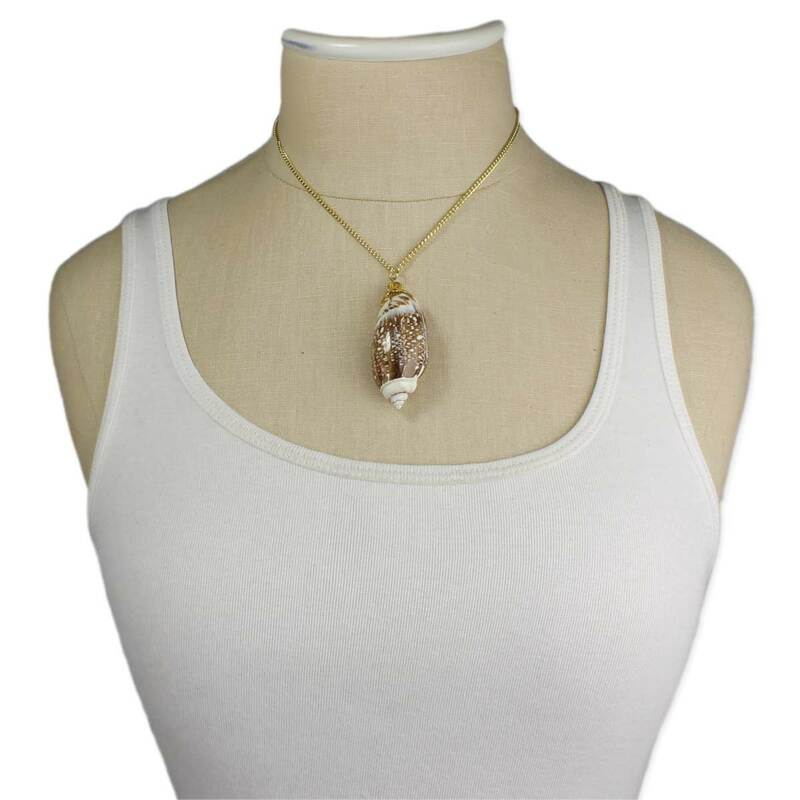 Fine gold link chain holds an assortment of genuine shell pendants. Wear these brown & white shell necklaces, like treasures from the ocean floor, to add a taste of underwater life to your day!